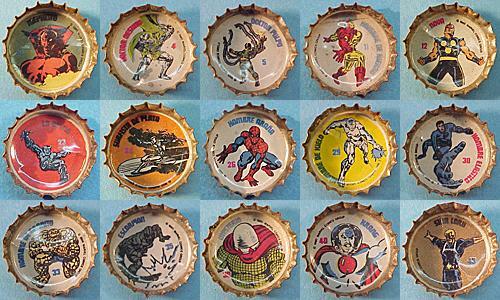 Remembers those softdrink / soda bottle caps with the Marvel characters under them. They were not in color like the image here. I remember that Coca-Cola products had them. I think you were supposed to mail three different characters and you could join a sweepstakes of some sort.